We left Newcastle Airport on Wednesday 24th October and after 24 hours of traveling via Dubai with Emirates (no upgrade despite wearing our Durham CCC kit) we eventually arrived in Brisbane late at night on the Thursday , so we spent our first night in Australia at an airport motel in Brisbane, however after a few hours sleep (all I could manage with Luke’s snoring), we finally arrived at the beautiful Gold Coast (our home for the next 6 months) on Friday October 26th, this already seems a life time ago. We were met by Ryan Kettle the Palm Beach Currumbin Cricket Club captain and Jack Vare, another first teamer who plays for Papa New Guinea, and headed straight to the beach for fish and chips and a look a the local ‘sights’. We finally got to our house later that afternoon to find we were sharing the smallest room in the house, not ideal given Luke’s snoring. Our first night just so happened to coincide with the clubs 90th Anniversary dinner, so after a quick net, we were introduced as ‘our new poms’ to all in attendance, and were informed that we were being thrown straight in at the deep end for the 1st grade team fixture the next day at home to Queens. The game turned out to be a rather eventful introduction to Aussie cricket, Luke opened the bowling and took the first wicket of the game, in an all Hill combo as I took the catch at backward point. He took 1-48 off his allotted 8 overs, and I finished with 1-28 off my 8 overs as we restricted Queens to 177 off their 40 overs. In a close finish we fell just short on 172 all out, I had a 3rd ball duck, and Luke (still jet lagged) missed his bat as he fell asleep in the changing room (fortunately each team can play 12 and rotate fielders/bowlers, but only 11 can bat). But the game wasn’t finished their, Queens had taken too long too bowl their allotted overs before the 5:30 deadline, the penalty being 6 runs for each over not bowled. 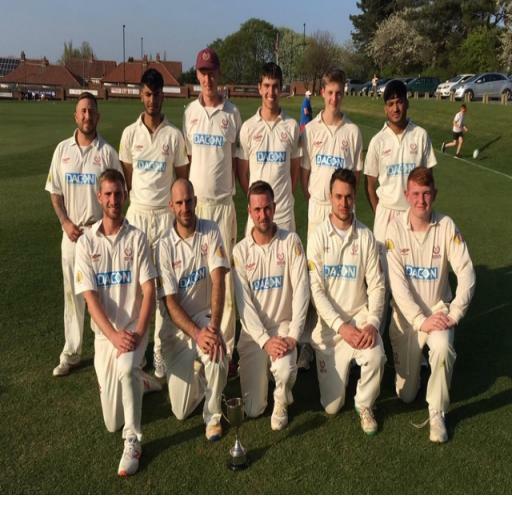 As we were bowled out in the second last over after 5:30, they were penalised, and we got 12 runs added to our score, meaning we finished on 184 and started our trip with a win. 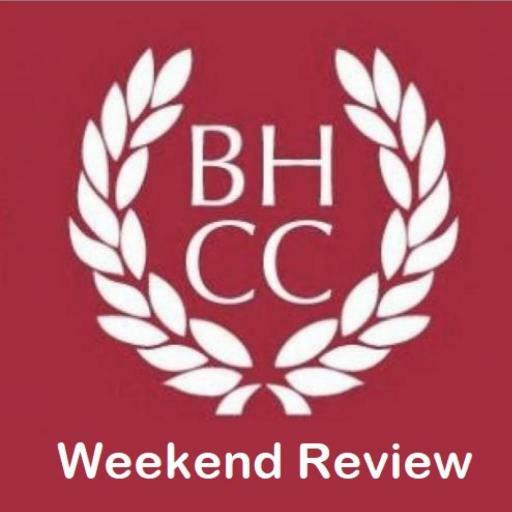 Our second game on Saturday 3rd November, was against local rivals Southport Labrador who are one of the top teams and favourites for the league. We lined up against some familiar faces, with Northumberland team mates Oli and Ben Magee in their side. Once again, we bowled first, restricting them to 180. Luke finished with figures of 3-41 off 6 overs and I picked up 1-35 off 8, it would have been 3 for if they played LBWs over here, absolutely plum!!! We successfully chased their score down to win by 5 wickets courtesy of an excellent knock from 17 year old Zane Beattie. 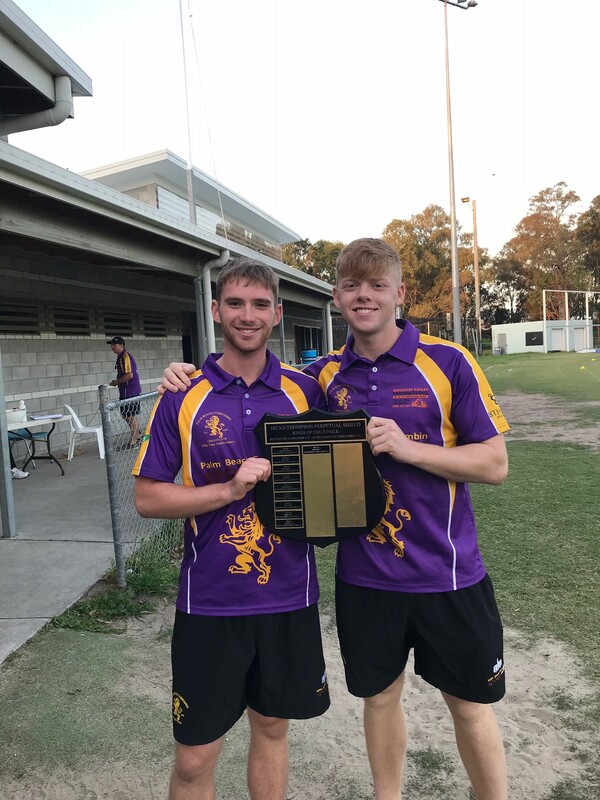 It turns out the game has its own trophy, known as the ‘King of the Jungle’ shield, and the victory meant it was the first time Palm Beach Currumbin had won it in 8 years. Not a bad start! Last weekend we had a blank Saturday, so spent the afternoon on the golf course with some of the team, neither of us was too keen to go into the rough to locate our wayward shots, so a fair few balls were lost. 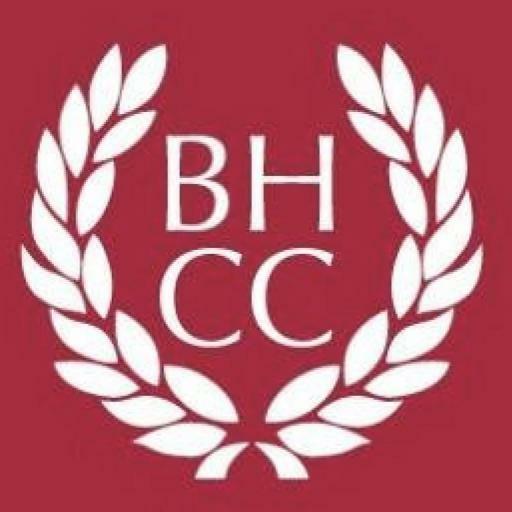 This weekend (17th November) we travel to league leaders Burleigh CC, for what should be another tough game.